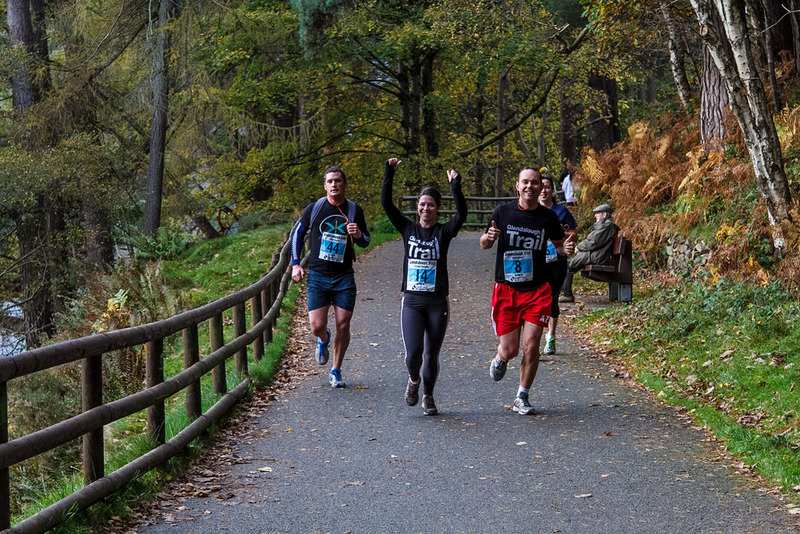 The main run route is approximately 15.5 km long over some superbly scenic forest trails in the Glendalough area. A map of the route is pictured below and a detailed Garmin GPS trace of the route with profile is available here. Only ~500m of the race is on tarmac surface and there is approximately 600m of very mucky trail with tree branches to negotiate. Total elevation gain/loss of the 15.5km trail is ~500m. 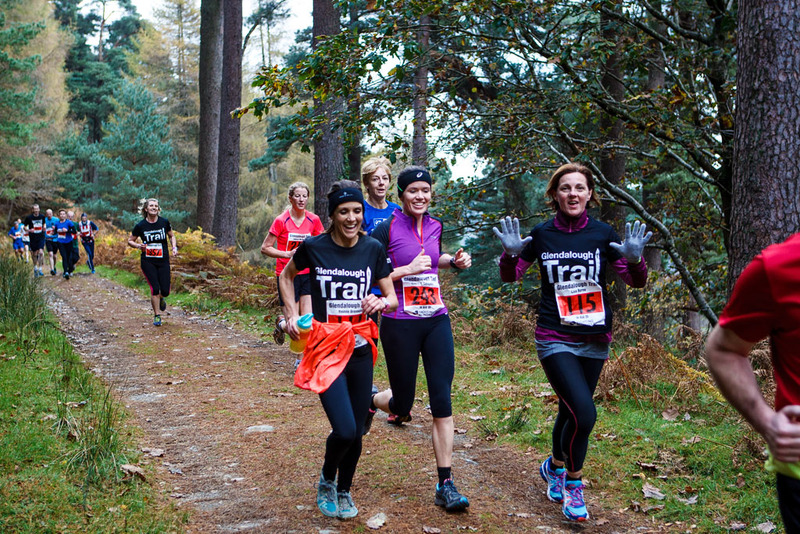 Trail runners are highly recommended for this route and your runners will get wet and mucky for certain. 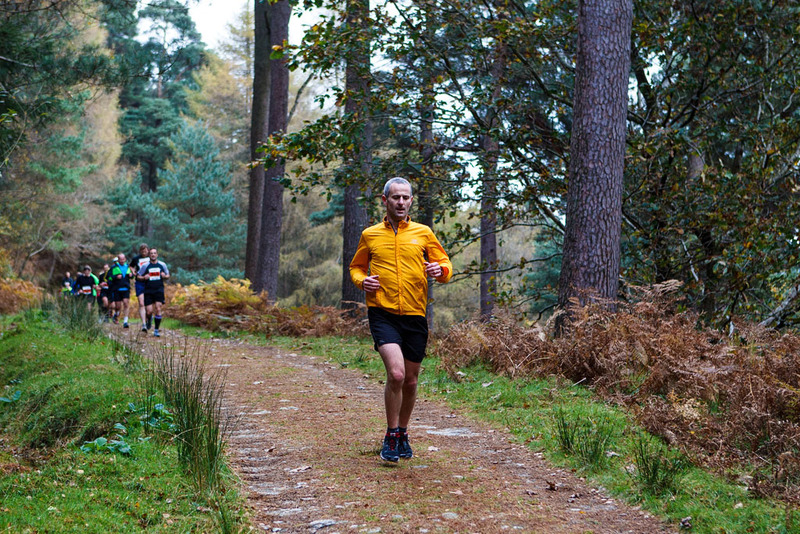 We also have an alternative 8.6km long route aimed at slower joggers and walkers which avoids the mucky section. Both courses will have the same start and finish sections. 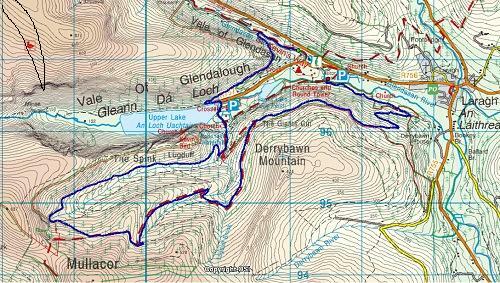 The race start is located approximately 600m from the main (OPW) car park at the lower lake. Both events will finish on "Green Road" close to the pedestrian bridge beside the OPW visitors centre. Registration for all participants will begin at 9am at the Brockagh Resource Centre in Laragh Village (just up hill from Mc Coys shop/petrol pumps). Slow joggers for the Long Course (15.5km), those realistically anticipating taking over two hours to complete the course and visually impaired athletes must register before 10am and be ready to leave the Brockagh Centre by 10.10am. There will be a race briefing at the start line for these participants who will then be transferred to the race start by our courtesy bus. 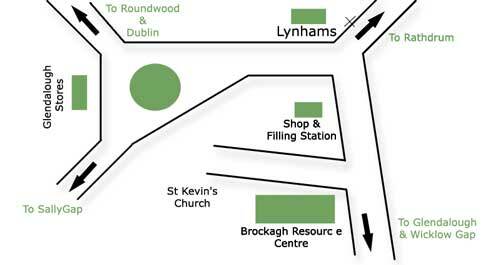 Registration for runners is open from 9am to 10.40am in The Brockagh Resource Centre. Race briefing for the all other 15.5km runners will take place at 10.45am in the car park to the rear of the Glendalough Hotel (there are some toilets available here and at OPW visitors centre next door). Participants will then walk the ~400m to the race start at 10.50am.